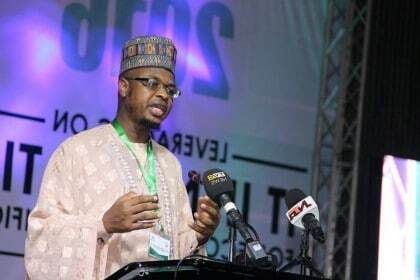 NITDA, Abuja: A coalition of civil society groups under the umbrella of Transparency Advocacy Initiative, has declared that transparency, accountability and due process measures at work in the National Information Technology Development Agency (NITDA) under the leadership of its new Director General, Dr. Isa Ali Ibrahim Pantami. The Executive Director of Transparency Advocacy Initiative, Amb. Yomi David and the National Convener of Allied Civil Society Groups, Comrade Solomon Adodo in a jointly signed statement disclosed that the groups. The groups that have maintained uninterrupted vigil in monitoring and assessing the performance of key Agencies of government particularly those identified as critical to accelerating Nigeria’s economic rejuvenation. The statement noted that “As Nigeria seeks to make progress in the quest for economic diversification to ensure wealth generation, job creation and overall national development, one Agency that readily comes to mind as key and relevant in this quest is the National Information Technology Development Agency (NITDA). Youth involvement in ICT innovation is a strong catalyst for generating new jobs and NITDA under the Headship of Dr. Isa Ali Ibrahim Pantami has opened this vista of opportunity that can be maximally explored by all. In the recent past, fake and substandard products nearly saturated the entire ICT market and this greatly affected efficiency and productivity in virtually all sectors of the economy as these ICT products which should have enhanced productivity were no longer reliable. Nigeria is not a dumping ground and the best standards must be maintained. “NITDA’s strengthened collaboration with industry leaders, start-ups and young Nigerians fused with the call on manufacturers of ICT products and service providers (with mutually beneficial incentives) to domesticate their production has begun to yield fruits already and this goes to buttress the commitment of NITDA to lead Nigeria to the glory-lands of the info-tech world. Strict compliance to Federal Character, reward for hardwork, high premium on merit and fairness to all have been the hallmarks of administration in NITDA. Public Office holders ought to imbibe this aspect of governance that enhances national unity. Furthermore, prudence and shrewd management of resources have also taken the front burner as the limited resources of the Agency are effectively managed to achieve the best possible results. The balanced manner in which the Director General has been able to tackle the employment crisis that rocked the Agency prior to his appointment is another laudable feat. However, the Director General has frequently sought the approval of the Minister of Communications Technology in finding solutions to ease the plight of these affected individuals. Even though NITDA has not made any pensionable appointments so far, all the Staff secondments made have been in tandem with due process and with the full approval of the Minister of Communications. “At this juncture, we must commend President Muhammadu for seeking Nigeria’s best brains from all parts of the world and bringing them back home to head critical sectors of our economy that can engineer economic growth and add value to Nigeria’s quest for economic diversification. It is also imperative that all Ministries, Departments and Agencies strengthen their partnership with NITDA in the execution of their Info-tech projects to ensure premium standards are maintained and local content enhanced. “We strongly believe that with these transparency measures and multifaceted partnerships emplaced by the Director General of NITDA, the Agency will ignite the long awaited info-tech revolution and the potentials of Nigerian youth will be translated to national productivity for the good of all. “We invite the concerned public and the relevant bodies to support and partner with NITDA in the areas of cyber security, jobs creation, e-governance framework, and IOTs as Nigeria Marches on to occupy her prime place in the global Info-tech world”, the statement read.